Discovery Cove is Sea World’s all-inclusive park that is limited to only 1,000 guests per day. I took Tom there for his birthday Monday, and we had the best time! A friend told us it felt like you were at a spa all day, and they were right. From the moment we arrived we felt every need was anticipated; one employee noticed Tom’s glasses and pointed him to Customer Service where he could get a prescription mask for snorkeling the Reef. Wow. What a nice touch. All the food and drinks were included in the price of the park, so we didn’t have to carry any money with us. They provided a locker, snorkel gear, lazy river noodles, towels and lots of wildlife to admire, feed and touch. Although we didn’t pay the extra money to swim with the dolphins, we did get to snorkel with manna rays, lots of tropical fish and even swim next to the glass enclosed shark tank. One shark swam right up to window and glared at me through the glass. It was scary to imagine what he would have done if the glass wasn’t there. It was a perfect day. Although not an inexpensive date, this park is well-worth saving up for for a special occasion. We recommend arriving at 7:30a. Breakfast is served at 8:00a. The park opens at 9:00a and closes at 5:30p. This entry was posted in Anniversaries, Birthdays, Celebration Dates, Celebrations, Christian Marriage, Date Night Ideas, Orlando Date Ideas, Outdoor Dates, Romantic Orlando, Summer Sizzlin' Dates and tagged Customer Service, Discovery Cove, Orlando Florida, Park, SeaWorld, Snorkeling. Bookmark the permalink. We live within a couple of hours from there. Thanks for the suggestion! Really? It’s def. worth the drive. Yes we did! Glad your comment came through today. 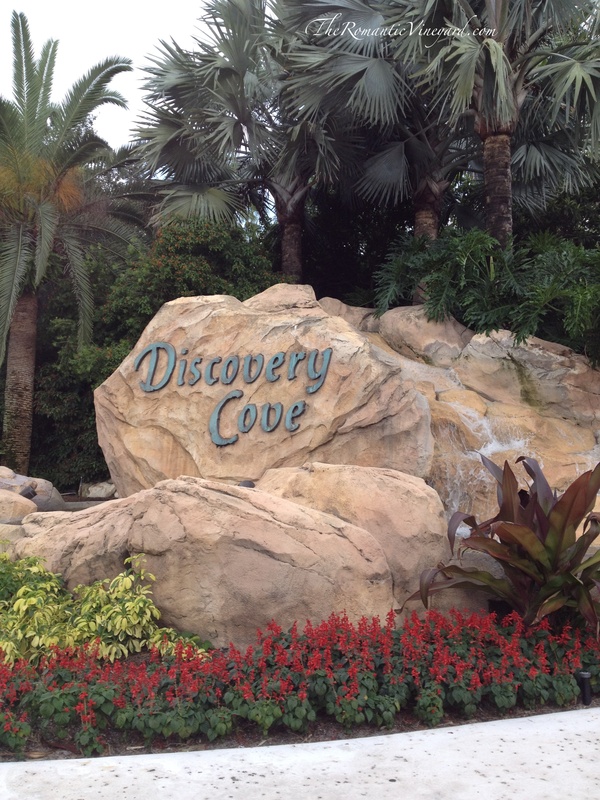 My hubby and I have been to Discovery Cove twice and love it! The 1st time was last year and we celebrated our 25th anniversary. On that occasion we did go all out and did the dolphin swim along with renting a cabana. It was indeed expensive but totally worth it! This past June we went again while on vacation and did just the basic package. I can’t wait to do it again someday! Welcome back, Danielle! Good to hear from you again.